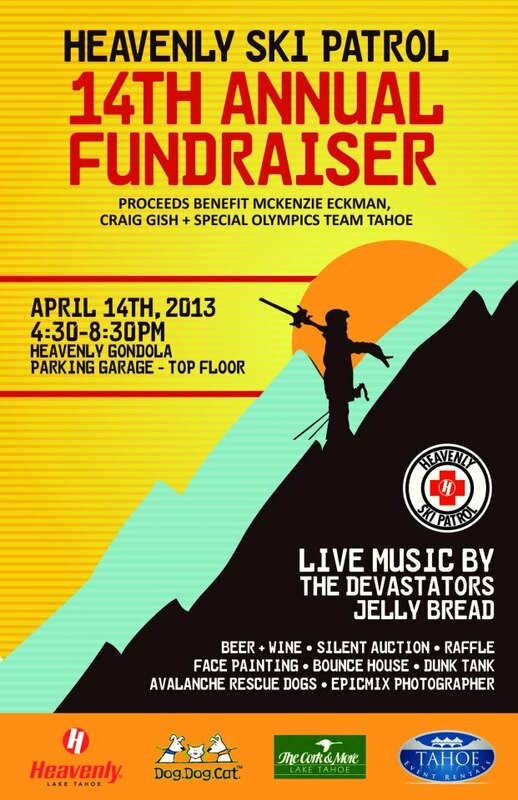 Cruise on over to Tahoe this weekend for the 14th Annual Heavenly Mountain Ski Patrol Fundraiser. All proceeds benefit local non profit organizations such as The Barrett & Kristen Burghard family and The Special Olympics. This is an ALL AGES event with a donation of $10.00. That is a steal for what is in store for those who make it to the fundraiser. The 14th Annual Ski Patrol Fundraiser will have face painting for children, raffle prizes and silent auction prizes too. The band will include Jellybread, Devastators, and Deep Fried Mojo. Remember “Let’s Keep Tahoe Blue”!